Acnesol 1% Solution contains Clindamycin Phosphate USP at a concentration equivalent to 1% w/v in a solution base. Clindamycin inhibits bacterial protein synthesis at the level of bacterial ribosome. The Antibiotic binds preferentially to 50 S ribosomal subunit and inhibits the process of peptide chain elongation. Acnesol 1% soltion widely uesd for the treatment of Acne vulgaris, alone or combination with other acne treatments. Apply twice on the affected area daily. This ACNESOL 1% Clindamycin Phosphate topical Solution looks like a clear water like liquid, it is a non-greasy liquid that blends on the skin easily. 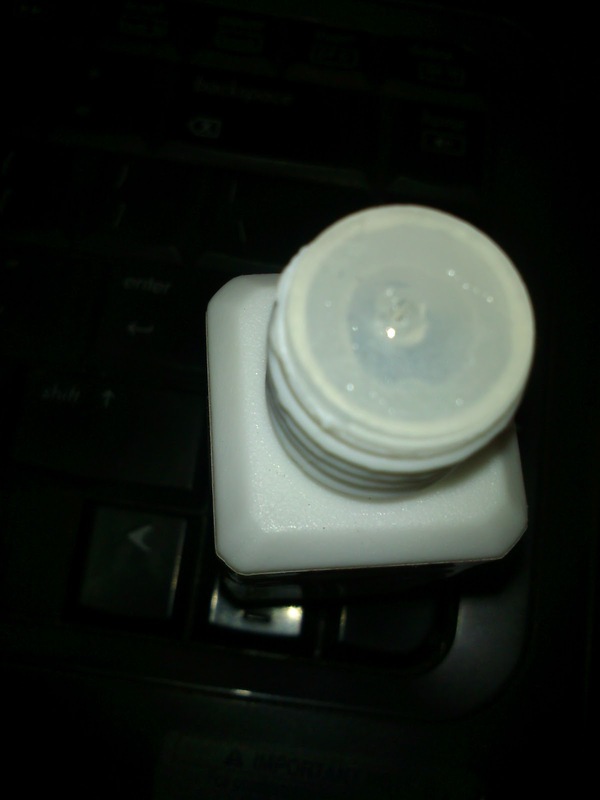 The ACNESOL solution comes in a small white sturdy plastic bottle with a blue colour screw open cap. It is not much travel friendly. My Dr recommended me to use this on the night time. I am doing like this, and I started using this regularly to reduce my ugly Acne enemy. It is doing good changes on my face. Small allergic patches got reduced. In the mean time I got some big Acne which is reduced from the next day by the application of this Acnesol Solution. It is liquid like oily and I feel moisturized when I am applying on my face. This solution effectively works on acne and dries out them quickly. The small zits all over my face will get clear quickly if I apply this solution on them. 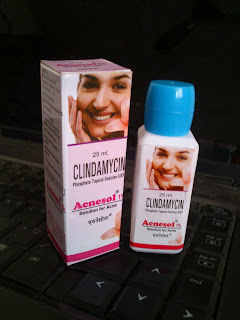 ﻿I use to take this liquid with a cotton and apply it on my acne affected areas only. 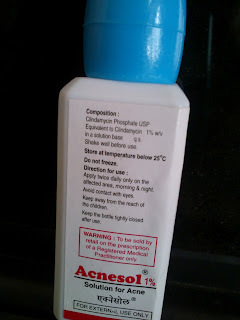 This ACNESOL 1% Clindamycin Phosphate topical Solution available in two varieties one is this solution form another one is gel form. This is like a oil and gives good moisture. This works very effective on Acne. Never dries up my face. Dries up big acne and clears face blemishes. Gives nice glow to your face. Not suitable for daytime wear as it gives a oil applied look. Can be used in home only. Not travel friendly,once you put the hole on this pack it has to be in one place if it fall down the liquid will shed from the bottle. Not controls my new acne. My final verdict is if it is recommended by your Dr use it with full confidence as it will helps you to come over the Acne problem. Please share your thoughts after reading. Hi Radha, good review but I am confused, whether you are still using it or consulted the doctor again for a better acne control cream? very informative. i got a doubt.how much time we have to leave this lotion on the face.?? Is there a link online I can order this??? When i apply this cream to my face,my skin starts burning.what to do? Any doc havent adviced me this cream,my aunty had advised me so i am using but now when i apply to my skin it starts burning n getting red,help me with ur suggestion please! I have many acne on my face I have tried every product like acnisol,bemzol peroxide, antibiotics,clindamycin,and many more also sops but my acne is still not going.